Reposting to the Network Operations Manager, the candidates will be required to manage Bracon’s network effectively and efficently. The role is charged with providing new services and assuring the integrity of in-life services. Among other key responsibilities, the candidates will be required to carry out preventative maintenance and management of faults. Degree in Computer Science, Computer Engineering, Information Technology/ Systems or equivalent. No experience is required. The position is at entry level. Bracon Enterprises (Pty) Ltd offers highly competitive packages commensurate with the level of responsibility. Interested qualifying candidates should provide a detailed CV reflecting dates and names of organizations, key responsibilities, major projects executed and at least 3 referees. TERMS OF EMPLOYMENT: Fixed-Term Contract of 3 Years. 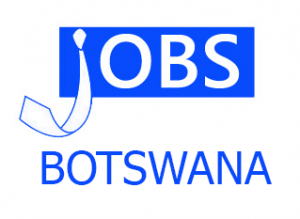 RESERVATION AND PREFERENCE: Positions are reserved for citizens of Botswana only. The BRACON will respond to shortlisted candidates only.